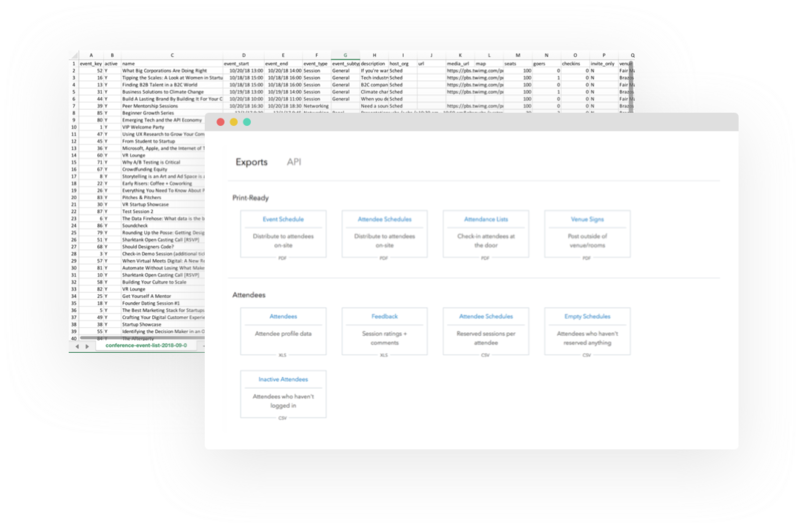 Get the data you need to organize the best event possible. 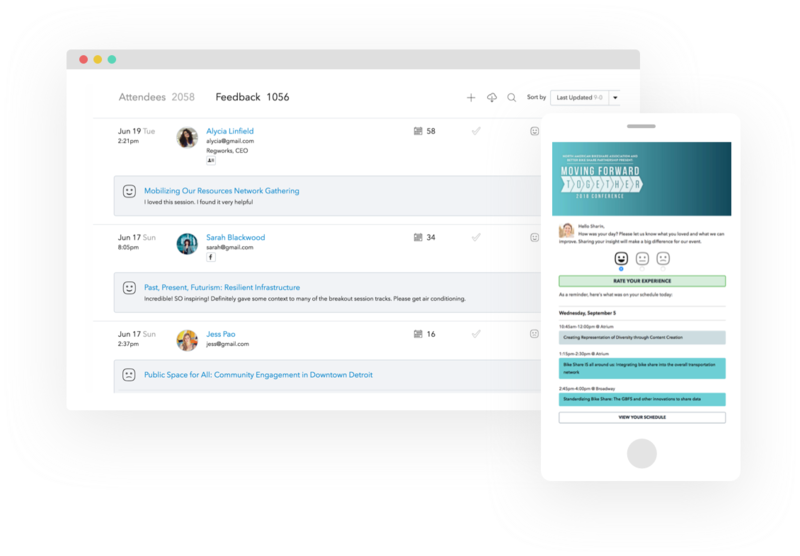 Track your most popular sessions and collect feedback from your attendees. Use data about your most popular sessions to make space for more attendees or get your camera ready to capture a full house. Let attendees rate individual sessions and leave feedback. Use this data to keep improving your events and provide suggestions to your speakers. Use attendance and feedback data to help determine which sessions were the most successful. If you’re organizing another event, export all of your session data to get a head start on planning. 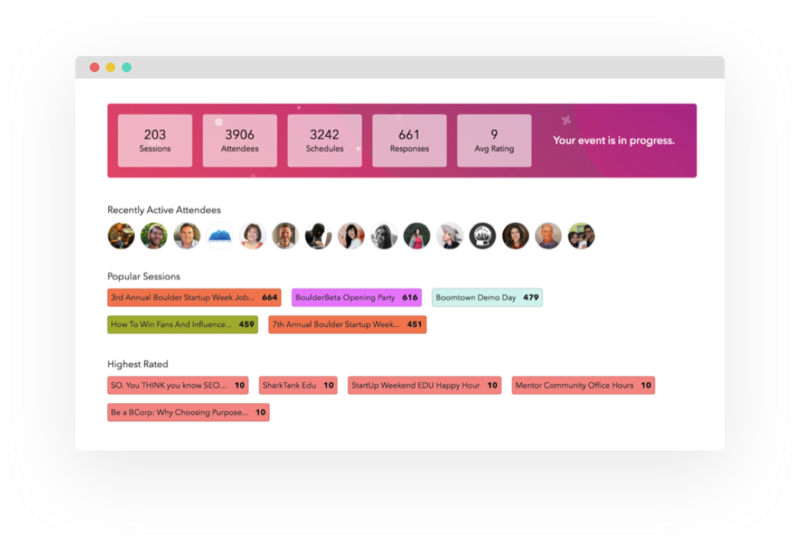 Start building your event with a free trial.